Gracefully onboard all clients and deliver a “better than broadcast” experience for your big live OTT event, whatever the scale. All content cannot be treated the same way. Live content, for example, requires specific treatment when delivering it in a multiscreen environment. It puts your CDN to the ultimate test. Live content is often associated with big events, and big events are often associated with a huge number of viewers, all wanting the same content at the same time. Typically 50-60% of the client requests come within the first 2 minutes from the start of the event. And finally, big events usually go hand-in-hand with expensive rights, so viewer experience is extremely important to fully maximize your ROI. Luckily, we have a developed our TV CDN solutions to address these specific challenges. 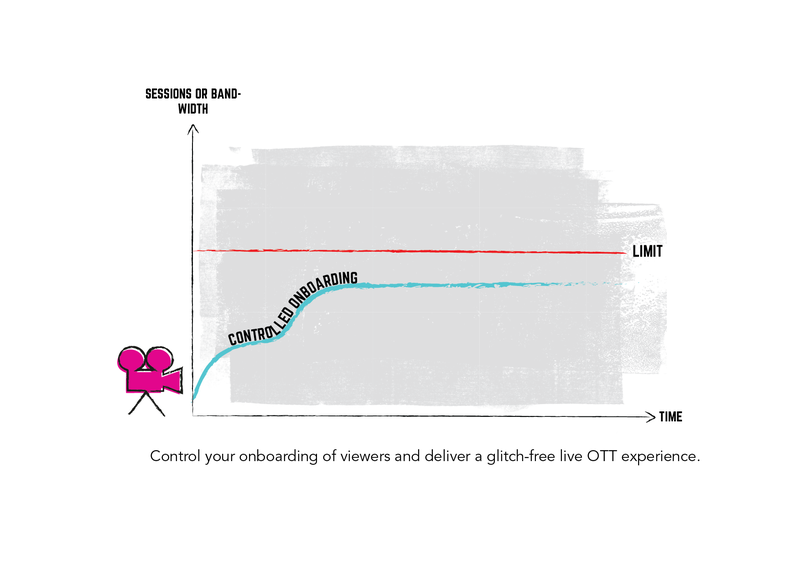 Smooth onboarding of viewers and a “better than broadcast” viewing experience are key characteristics of our system. We call it our Big Event solution. When thousands of clients are requesting the same content from the same TV Delivery server, that server might get overloaded and not be able to stream the content to the clients in the pace requested. By spreading the content to additional servers, the pressure on single servers is reduced and the risk of overload is avoided. Our ability to dynamically spread the asset enables you to make sure the asset is available on multiple servers. Using our TV Director product, the asset is spread to the servers of your choice. This allows streaming capacity to be increased and more clients can be successfully onboarded on time. 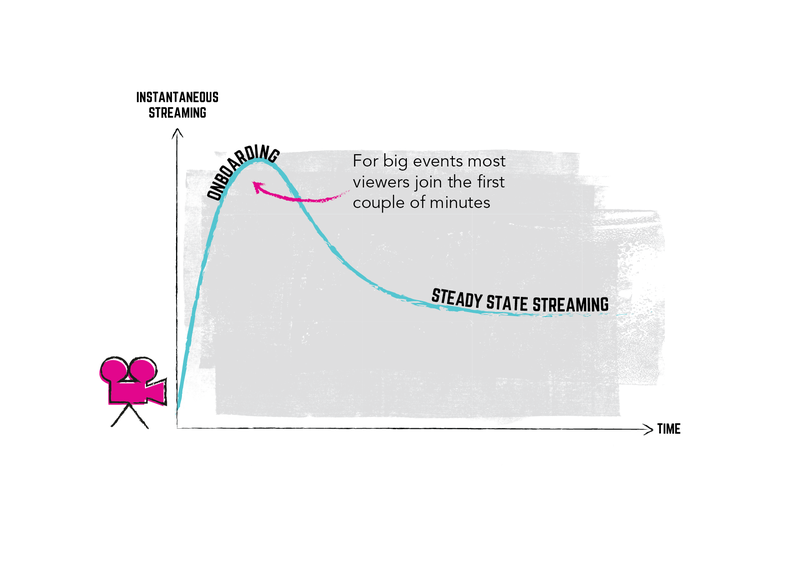 A majority of the viewers of a big event want to watch the content from its start. So the majority of the client requests are made a few seconds before and a couple of minutes after the big event has started. Different formats and bitrates will be requested and the servers’ experience a peak load as viewers are onboarding. If not controlled properly, the risk is that the requests exceed the server limit and the viewers will not get not get their content in time. This is where our capability to predict sessions and thereby balance the server load comes in. Our ability to predict sessions based on incoming requests and dynamically set the TV servers’ capacity limits, gives you the possibility to control the onboarding phase and direct new requests to the next server before hitting a capacity limit. This ensures that the client requests can be onboarded successfully, requests are directed to an available TV server and the viewer gets their content. Edgeware’s TV Delivery server asks the Origin server (NAS) to resend out any missed segments. In an Edgeware CDN all client requests are consolidated and when thousands of clients are requesting the very latest segments of the content, instead of asking the NAS for every single segment request, the TV Delivery server asks only once. The same applies in the other direction, instead of the NAS sending the newest segments for every single request, it only sends them once to the TV Delivery server. Our ability to consolidate the asset requests from clients puts less pressure on the Origin server as it collects all the requests for the newest segments and instead of requesting segments for every single client, it sends only one request. It also saves backhaul capacity as the NAS is sending the latest segments of the content only once, and not for every single client request. An amazing viewing experience is important for any type of content, but this is especially true for live and big events as the rights to deliver this type of content have probably cost you a significant amount of money. There is simply no room for a poor viewing experience. Dynamic ad insertion is also an area where an amazing viewing experience is important. You need to optimize the revenue opportunities that selling advertisement space in big TV events offer. Our proven CDN is designed for all this – making sure that your viewers get a glitch-free TV experience without buffers and delays. 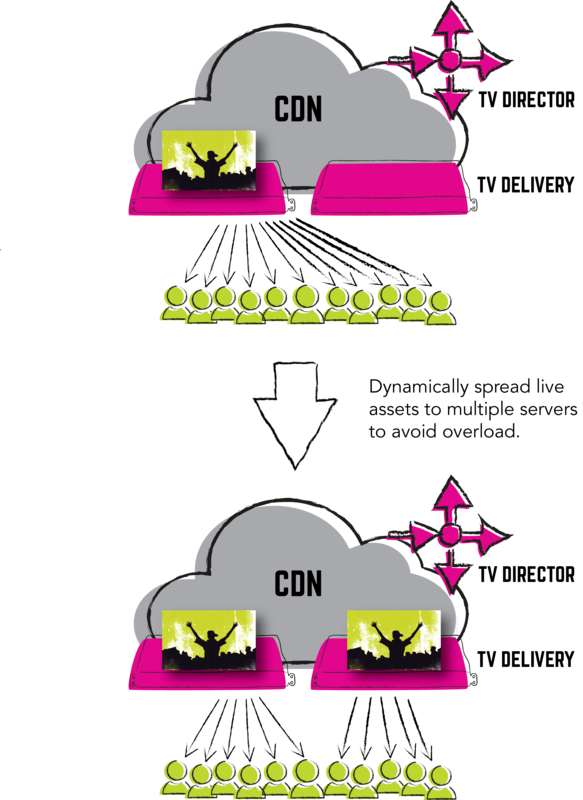 With capabilities such as immediate streaming and a decentralized CDN architecture we enable client devices to receive the content in a beyond-broadcast fashion. Add to this our award-winning technology for dynamic ad insertion, which provides high precision segmentation – frame accurate segmentation – and makes sure the shift between content and ad and back to content again is glitch-free. Our Online Monitoring Service offers an excellent way to ensure your Edgeware TV delivery system is well prepared for your upcoming big live event. 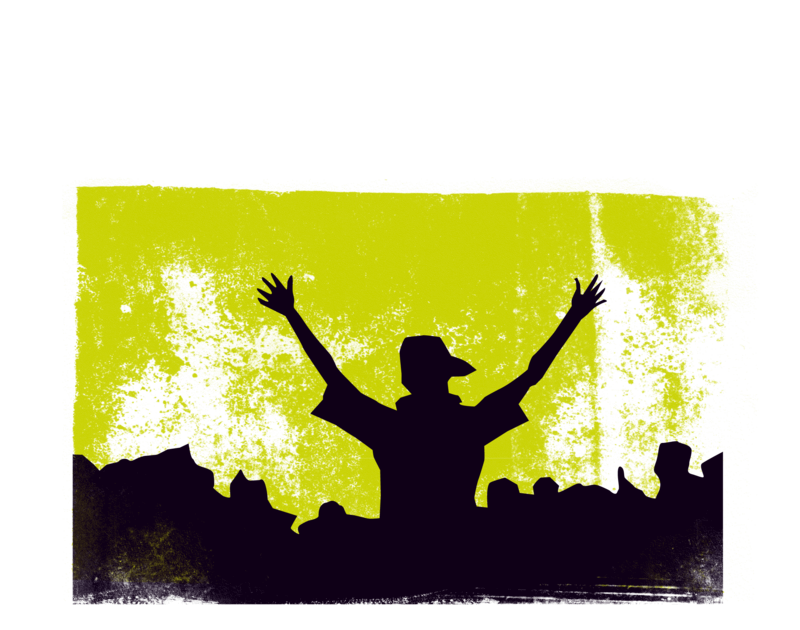 The service performs a system health check before the event and proactively responses to any issues that might occur during the event. Read more about our Online Monitoring Service here. Altogether, your viewers’ viewing experience is key in the success of streaming your ‘Big Event’, and an absolute requirement for your ROI.